A dedicated corps of volunteers guides these students through the Freedom & Unity exhibit. Volunteer tour guides, also called History Helpers, share wonderful stories about our state with students. They explain why Dr. Samuel Adams is hanging in a chair outside the Catamount Tavern. They demonstrate how to send a message in Morse code on the telegraph and encourage the students to tap out a few letters. When students explore the World War II living room, some of the guides share their own memories of growing up during the war. 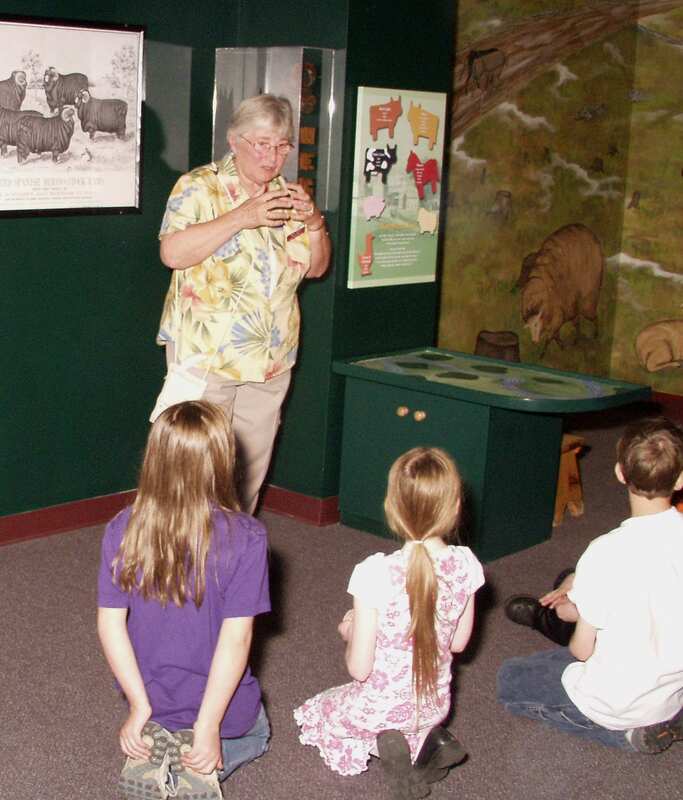 The museum is recruiting additional volunteer tour guides for the busy spring season. No experience is necessary and training is provided. If you are enthusiastic about history and interested in working with children, consider becoming a volunteer History Helper at the museum. An information session will take place on Tuesday, February 11th, from 10:30-11:30 at the Vermont History Museum, located at 109 State Street in Montpelier. Learn more about the program and the benefits of volunteering at the Vermont Historical Society. If you are not able to attend the session or if you want more information, please contact Victoria Hughes at (802) 828-1413 or victoria.hughes@state.vt.us.